It isn’t every day that Toronto gains a spectacular new tourist attraction. 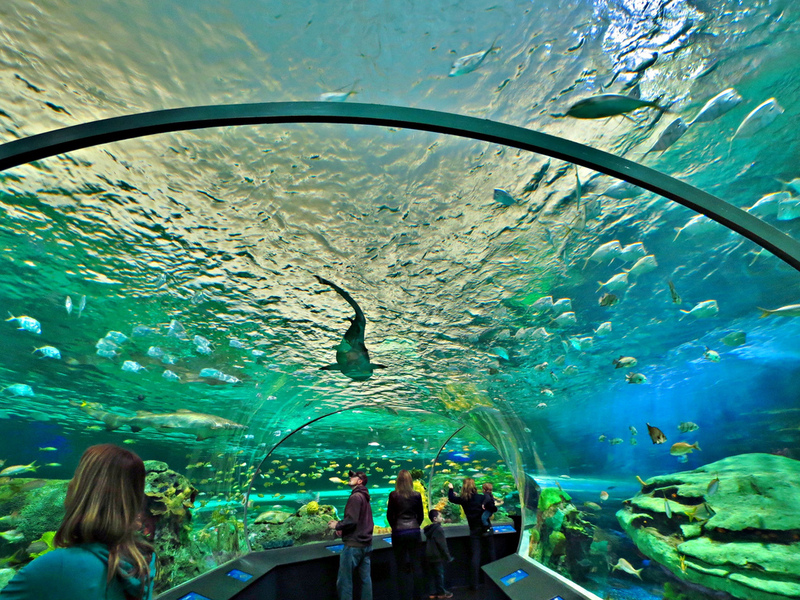 In October 2013, however, Toronto was blessed with the opening of the brand new Ripley’s Aquarium of Canada! The Ripley’s Aquarium of Canada is home to an astounding 13,500 different species of sea creatures contained in 5.7 million litres worth of water tanks! The species featured here come from all parts of the globe, from Canada to parts far beyond. The Canadian Waters exhibit displays aquatic creatures that live in the Great White North, including Largemouth Bass, Giant Pacific Octopus, Wolf Eel, and Pacific Kelp. The Ray Bay exhibit is home to various species of stingrays, with daily shows featuring divers feeding the beautiful creatures. Many mesmerizing Pacific Sea Nettles and Moon Jellies can be found in the Planet Jelly exhibit, which contains the world’s largest tank meant specifically for jellyfish! Perhaps the biggest highlight of the Aquarium is the Dangerous Lagoon exhibit, which stars terrifying creatures such as Tiger Sharks, and Yellowtail Snappers, and has a moving walkway under the tank which allows visitors to get up close and personal with the animals! The Ripley’s Aquarium of Canada is already one of the top tourist attractions in Toronto. It is an absolute can’t miss if you’re visiting the city! To get to the Aquarium, take CitySightseeing Toronto’s hop on hop off city tour to stop # 16.